Big data is a key factor in competition and the growth of individual firms. 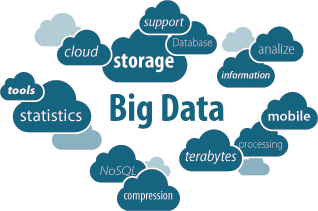 In normal terms big data can be referred to as a technology used to collect, process, store, and share and analyze huge volumes of data. Big data technology information can be shared easily with subsidiaries, which improves the employee efficiency and competitiveness. The employees can access and analyze terabytes of data and generate customized reports within minutes. To gain the competitive advantage that big data holds, you need to infuse analytics everywhere, make speed a differentiator, and exploit value in all types of data. This requires an infrastructure that can manage and process exploding volumes of structured and unstructured data—in motion as well as at rest—and protect data privacy and security.